Showing June 29th - July 31st, 2015. 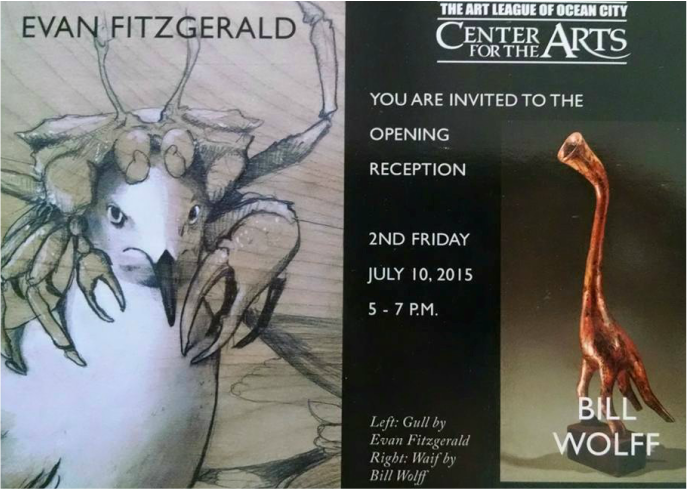 Opening reception 2nd Friday, July 10th, 5-7 PM. "Aviary." Washington ArtWorks, Rockville, Maryland, March 6th-March 27th. ﻿﻿Bill will have a piece this February in the exhibition, "Burning Desires: An Exploration of Love, Desire & Romance" at the MICA gallery in Lansing, Michigan. From the MICA website: "Love is one of the most basic and primal needs for human beings. This multimedia exhibition showcases love in all of its myriad forms – romantic love, desire, love of family, young love and the love of mature partners. This exhibit also explores the euphoria of reciprocal love and the agony of a lost love." Received the DM for "Caught in Motion." 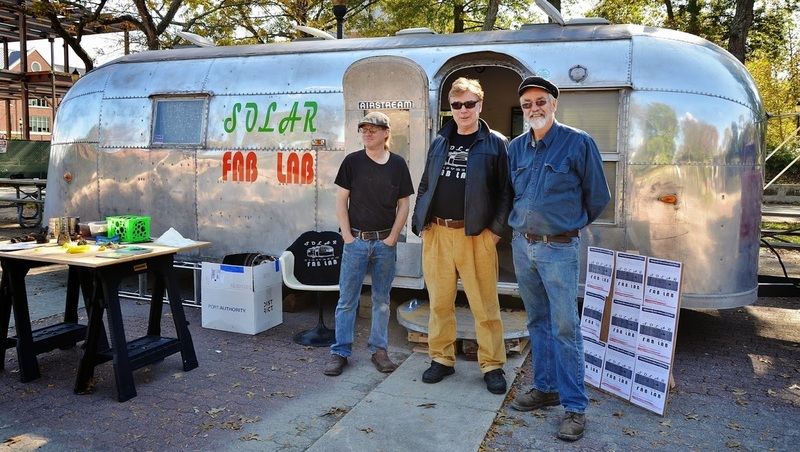 ﻿﻿Many thanks to visiting artists Coral Lambert, director of the National Casting Center at Alfred University, and Paul Higham, pioneer of data sculpture and rapid prototyping, for stopping by the campus of Salisbury University in their Solar Airstream Fab Lab. The Fab Lab, pictured here will Bill (left), visiting artist Paul Higham (center) and sculptor and recently retired SU sculpture professor, Jim Hill (right). 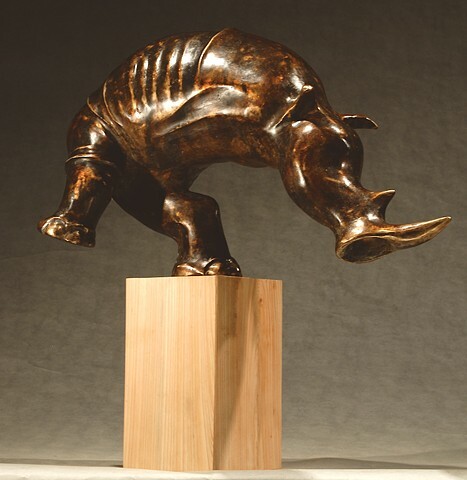 "Charge" is a cast bronze work depicting a two-legged anthropomorphized rhinoceros in a moment of charging forward into uncertainty.. "Charge." 2014. Bronze, 22" x 22" x "7". Bill is very excited to be joining the art department faculty at Salisbury University in Maryland for the upcoming school year, where he will be teaching sculpture. More to come later! 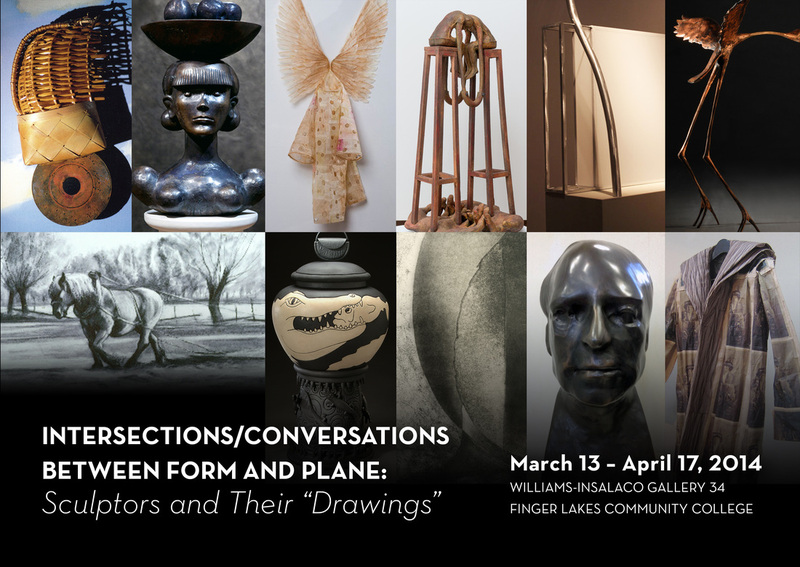 Bill's work will be featured in this exhibition featuring sculptors and their 2D work at the Williams-Insalaco Gallery34 at Finger Lakes Community College, Canandaigua, New York. 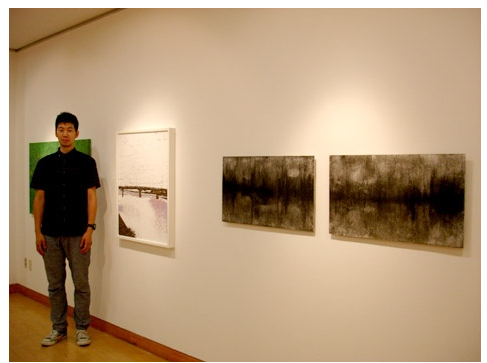 Artist opening & talk, 1-3pm, March 13th. Opening Reception: March 14 - 4- 6:30 on the 13th. Read the article in the Brighton-Pittsford Post here. March 12-16th, FNC/Ghandi Institute Series Exhibition: "The Sexual Objectification of Women and Girls"
Bill's work will appear in an upcoming exhibition sponsored by the Gandhi Institute and Feminists for Nonviolent choices, who host an annual series of events with a focus on a human rights issue specific to women/girls. The March 2014 topic is "The Sexualization of our Culture," The five-day series, taking place from March 12th-16th in Rochester, will host international journalist and activist Melinda Tankard Reist. is an artist, objectmaker, and educator.